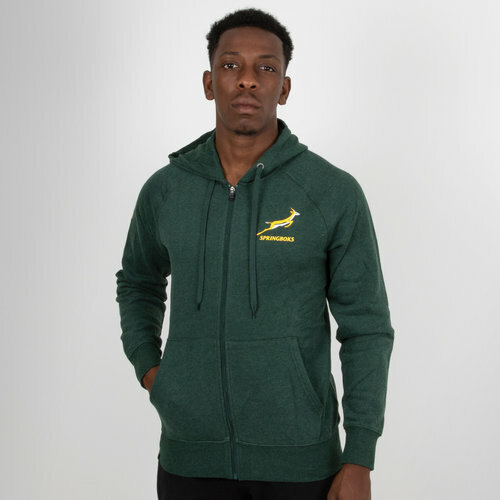 As one of only three teams to have ever been ranked number one in the world show your support for the Springboks in this South Africa 18/19 Hooded Rugby Sweat from Asics. Get behind the Springbok squad with this Asics zip up hoody. Made from soft cotton fabric and features ribbed cuffs and bottom hem, adjustable hood and kangaroo front pockets, this hoody is the most comfortable way to support your team.